History major William Robert Billups (right), seen here speaking with other 2017 graduates at an annual reception honoring senior thesis writers, traveled to London to do research as part of the history honors seminar. In the past two years, 35 history majors in Paul Ocobock’s honors seminar have received more than $125,000 in funding to do original research around the world. And every student in his course who applied for funding received it — using the grants to explore archives in France, Ireland, Uganda, China, and South Korea, among other places. But to Ocobock, there is something even more important than his students’ 100 percent success rate in securing funding — the sense of community they develop as they plan their projects together, travel the globe to conduct research, then return to his classroom to begin work on their senior theses. “The honors track courses create a lovely subculture in history — one that we want to extend to the whole program — where our students very much identify themselves as historians and as part of something special,” he said. “We are now seeing how valuable that is. Ocobock redesigned and began teaching the honors seminar two years ago. The first class in the sequence, taken in the spring of junior year, focuses on equipping students with the practical skills necessary to conduct their research, which most pursue the summer after junior year. Paul Ocobock, an assistant professor history, talks with students at the annual College of Arts and Letters event honoring senior thesis projects. In the second class, taken in the fall of senior year, students analyze what they’ve found and begin writing their thesis projects. “I want these to be very functional classes,” Ocobock said. “I want to see our senior thesis students doing more rigorous work. I want them to be able to get funding to go off into the world. 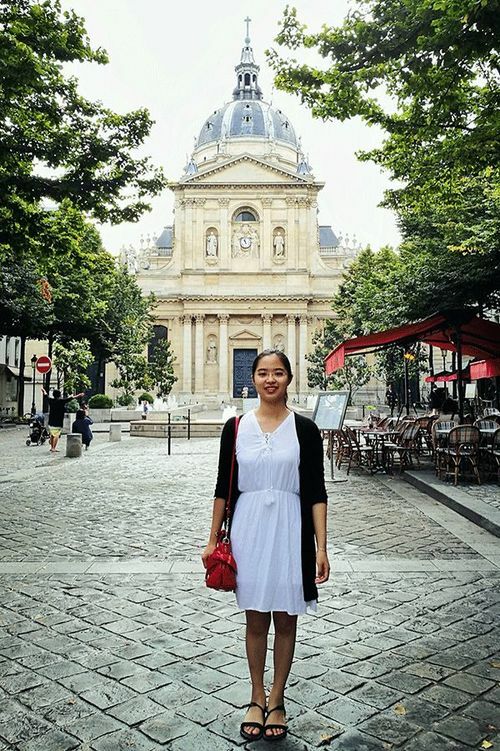 Senior Tianyi Tan, standing outside the Sorbonne in Paris, spent a month this summer doing research at the Archives Nationales in France. Senior Tianyi Tan took Ocobock’s first seminar this spring and spent four weeks this summer researching at the Archives Nationales in Paris, with funding from the Nanovic Institute for European Studies. After choosing a topic to explore, the students’ first assignment is to complete an application for grant funding, if they need it. They then revise it with guidance from Ocobock, who is also a faculty fellow at the Kellogg Institute for International Studies and has been part of several committees reviewing grant proposals. Next, with the help of Senior Archivist William Kevin Cawley and Special Collections Curator Julie Tanaka from the Hesburgh Libraries, Ocobock talks with students about what to expect when they arrive at an archive and shows them how files might be structured. The class also reviews other types of materials and research, exploring correspondence, memoir, and visual media, as well as how to conduct an interview and how to work with data sets. Finally, the students complete a personal “research dossier” that details what materials are available at their archives, the opening times of the facility, and the name of the archivist they’ve contacted, as well as a literature review paper that describes the state of their field and what their research questions are. For Tan, whose thesis explores media censorship in the early years of the French Revolution, the dossier was one of the most valuable assignments. 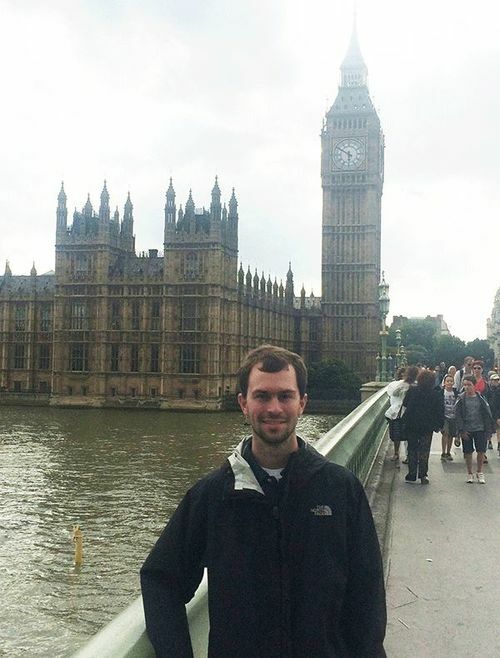 Billups, who won the Department of History’s award for best thesis on Irish history, said his research experience was crucial to his successful application to a master’s degree program at Cambridge University. When students return to the second honors seminar in the fall, they share with the group the most important resources they found. The students also explore where their research fits into the field as they begin writing their thesis projects, said William Robert Billups ’17. Billups was in Ocobock’s first honors cohort and won the department’s O’Hagan Award for best thesis on Irish history. The experience was invaluable for Billups, who began pursuing a master’s degree at Cambridge University this fall. As students wrap up their thesis projects in the spring of their senior year, Ocobock continues to meet with the group for an informal writing “boot camp” for two to three hours each week. Overall, Ocobock sees the senior thesis as an incredibly empowering process for his students. Originally published by Carrie Gates at al.nd.edu on September 19, 2017.